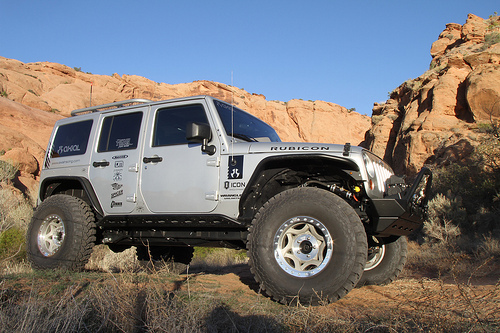 When someone adds a lift kit and bigger tires to an off-road vehicle, as soon as a test drive takes place the owner will quickly realize that performance has changed—for the worse. 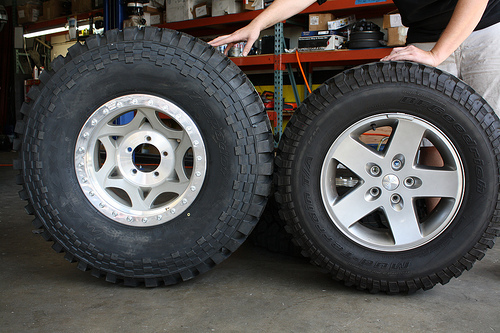 When you go from 31” tall tires to, say, 35” tires, a common upgrade on late model Jeep Wranglers, the tires are not only taller but also heavier. After the swap, which is supposed increase performance, the vehicle will feel substantially underpowered. It will have poor acceleration, it won’t climb as well and will be barely able to get out of its own way let alone tow anything. Time and time again, the appropriate solution is a gearing change. In the full-size world, a gear change is done inside the axle. Specifically, the ring and pinion gears are swapped in both the front and rear axles to compensate for the bigger tires. You’ll often hear Jeep owners going from 3.21 (that’s 3.21 to 1) to “lower gears” such as 4.88 or even 5.13. In RC, if you switch from smaller 1.9” tires to bigger 2.2” tires and want performance to stay the same, you will also need to do a gear change. While Axial Racing is one of the few RC companies to offer optional ring and pinion ratios, these are more for fine-tuning. To change the gear ratio to properly compensate for a tire change, you need to go to the transmission. While a transmission gearing change in a full-size vehicle would be complicated and costly, changing the transmission ratio of your Axial vehicle is very easy and inexpensive. 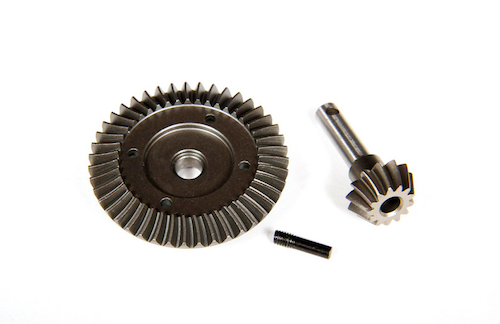 A gearing change in an Axial vehicle is done by changing the pinion gear that is mounted to the motor’s output shaft. 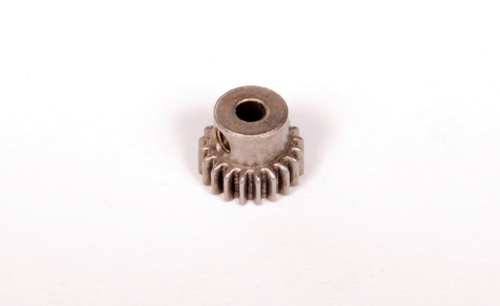 The pinion gear spins the spur gear, which is also easily changed. To access the pinion and spur gear, you will need to remove the gear cover on the transmission (Note: the Terra Buggy does not have a gear cover). With the gear cover removed, you will see the pinion and spur gear. Both are available from Axial in different tooth counts to change gearing, but changing the pinion makes a much more noticeable difference in performance. Changes to the spur work the opposite as changes to the pinion. So, if switching to a larger pinion does makes a RC vehicle faster, changing to a larger spur gear makes the same vehicle slower (more on this below). If no other changes are made, installing a smaller pinion increases pulling power, lowers the temperature of the electronics and increases runtime. Acceleration will improve, but top speeds will be lower. Installing a larger pinion does just the opposite on all accounts. By now you should be fully onboard with the concept that switching to taller tires changes your vehicle’s overall gearing. A change to taller tires provides much the same results as changing to a larger pinion gear—less pulling power, poorer acceleration, higher temperatures and shorter runtimes. Those performance changes are all a direct result of the change in the final overall gear ratio, and same as it does in the full-size world, the added weight of the larger tires compounds these issues. As discussed previously, the cure is a gearing change—specifically the pinion gear. Since tire size plays a role in the actual final gearing, it is important to be able to mathematically figure out how tire size factors in. This enables you to determine what gearing changes are needed. You may have heard of the term rollout. Rollout is the actually gearing and mathematically represents how far a vehicle will move with each revolution of the motor. Rollout factors in everything from the pinion to the tires and everything in between. Your Axial manual makes working with rollout extremely easy since the back of each manual includes a chart displaying final drive ratios. Rollout equals tire circumference divided final drive ratio. 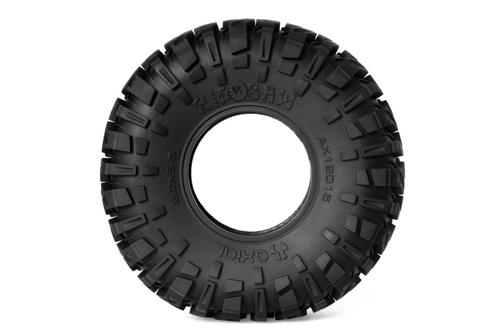 The Axial Racing Trail Honcho has Axial’s 1.9 Ripsaw tires and these tires are 4.3” (109 mm) tall, so the circumference equals 342.26, which is 109 multiplied by 3.14. Using the manual, we know the stock final drive ratio with an 87-tooth spur gear and 20-tooth pinion is 33.46. As stated above, rollout is calculated by tire circumference divided final drive ratio and thus a stock Trail Honcho’s rollout equals 10.23. 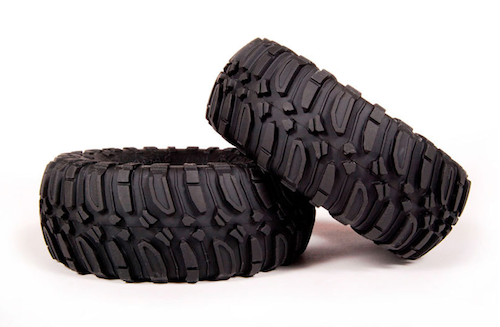 Axial’s 2.2 Ripsaw tires are 5.5” (140 mm) tall, so the circumference equals 439.6. These taller tires change the rollout to 13.14. That’s a 28% change in rollout. 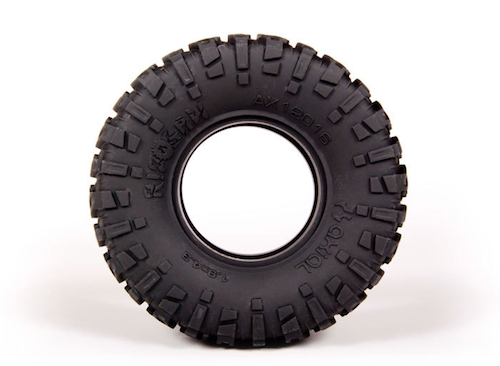 To re-obtain the performance experienced with the stock 1.9 tires, a smaller pinion that yields a rollout similar to the stock rollout is needed. Switching from the stock 20-tooth pinion to a 16-tooth pinion changes the rollout to 10.51, which is plenty close enough to the original 10.23 rollout. A four tooth pinion change is a pretty significant change, but it shows how much tire size impacts performance–just like full-size.